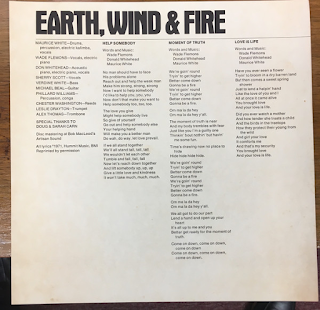 This was Earth, Wind & Fire's debut album and it was released six long years before they really struck it big, chart-wise. The sound is far more of a down 'n' dirty funk one as opposed to the poppy soul grooves of 1977. Some of the typical vocal harmonies are there, though, and you can detect signs of what the group would progress to. It is a remarkably short album, only twenty-seven minutes. The old "side two" contains only three short tracks - amazing what artists could get away with in 1971. That is not to say that is not a good album, though, because it has many good points. "Help Somebody" is an upbeat piece of brass-driven funky soul with some Latin jazz-influenced passages. "Moment Of Truth" is even more of a funk number, with some deep, resonant bass lines and blaxploitation-style drum rhythm. The ubiquitous brass dominates throughout too. "Love Is Life" is a sumptuous, slow burning soul ballad, with a tasty organ backing and seductive brass. A nice track. 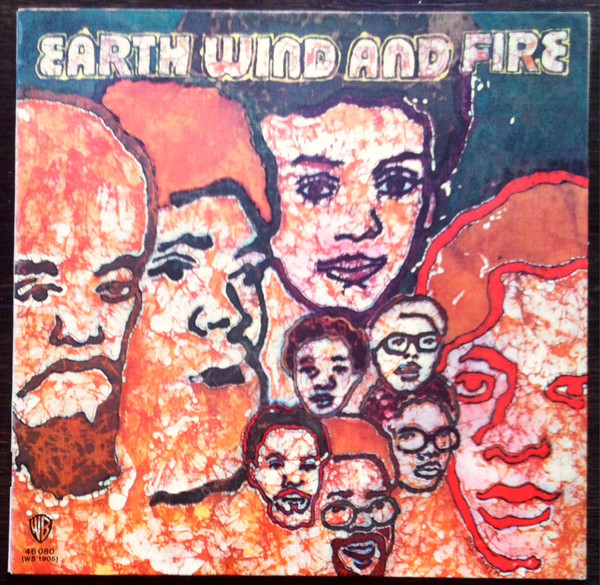 "Fan The Fire" has an intoxicating, brooding bass and electric guitar intro before it bursts into a funky, brassy groover. The funky guitar line is infectious. It has some Marvin Gaye/ Temptations/Undisputed Truth-style socially aware lyrics. "C'mon Children" breaks out into life immediately with another deliciously funky rhythm. 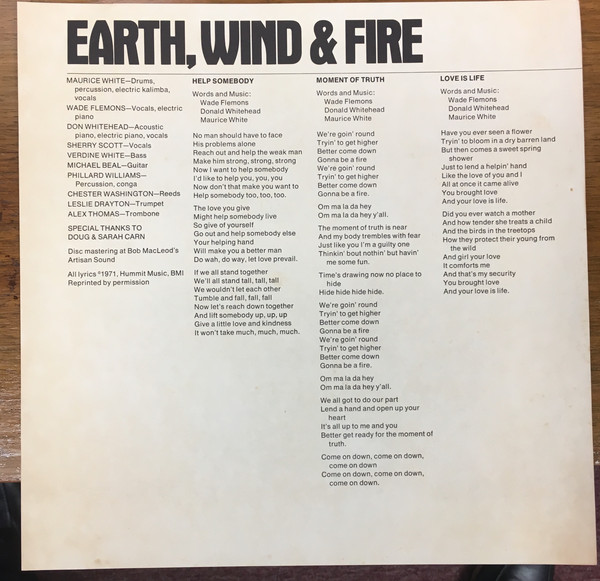 It is a shame that material like this is never included on any "best of" Earth, Wind & Fire compilations because it really is vibrant and impressive. Unfortunately, this early part of their career has been forgotten about, as if they didn't exist until 1975. Once more, on this track, the bass line is just superb. 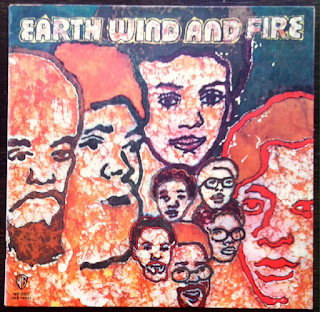 "This World Today" has some of the more recognisable EWF vocal harmonies that we would get used to by the end of the decade. "Bad Tune" begins with a thunderclap and then some West African marimba sounds before progressing into another funky number, but this time with the West African vibe continuing throughout in a Fela Kuti-influenced workout. Apart from a few isolated vocals, it is an instrumental. Overall, it is well worth giving this enjoyable album twenty-seven minutes of your time. It is quite a little undiscovered gem.